It’s been a while since I have written about my trip to Vietnam and Cambodia. It was so long ago now that I feel a little silly typing it up after so much time. I’ve decided to put both Cambodian cities in the same post, as there really wasn’t that much difference between the two. 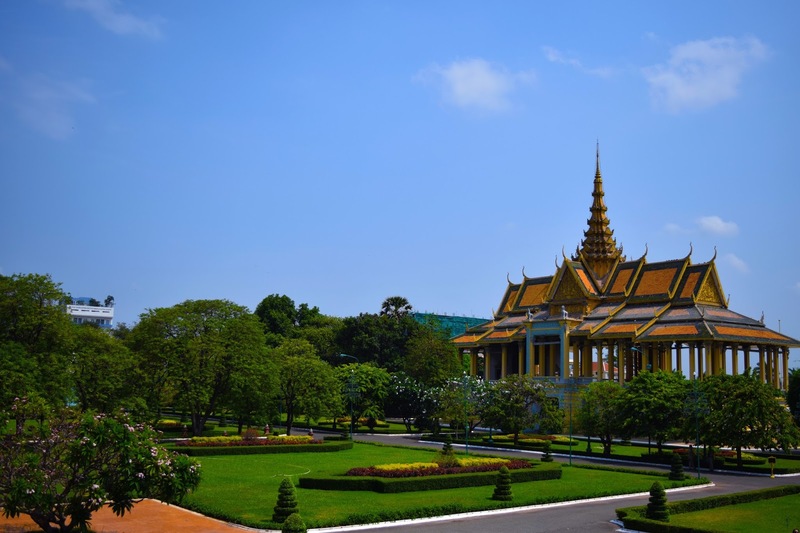 Our first stop was in the capital of Phnom Penh. The city was much larger than I expected, mainly because Hanoi has completely thrown off any expectations I had previously. It felt like a huge metro area with large roads, regular grocery stores, and an easy to follow layout. The hostel we stayed at was located right near the royal palace and pretty much everything else I wanted to do in the city. The first thing I noticed, however, was the heat. 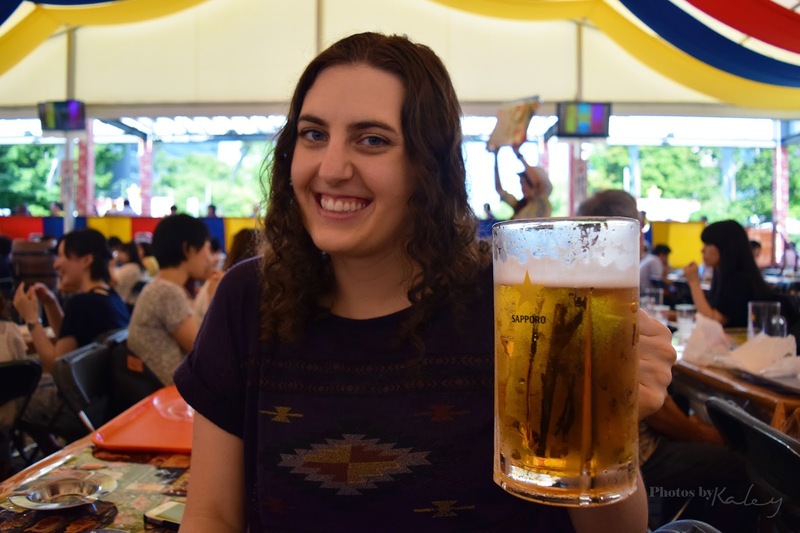 I am from Florida so I am no stranger to the all-encompassing humid kinda heat that you get in more tropical climates, but I’ve lived the last couple years in Sapporo where you’re in a jacket ten months of the year, so my body is out of practice with heat. And boy, does Cambodia really know how to do heat. The worst part is that there is very little escape from it when you’re outside, the tree lined roads of Vietnam aren’t a thing in Cambodia and walks around town are just you and the sun and heat. I mean, it’s beautiful out there with the cloudless skies but that just means it’s always, always hot. Thankfully the hostels will have air conditioning in the room if you do it right, the hostel we stayed at in Phnom Penh was really nice and we ended up with an entire female dorm to ourselves. It was cleaned and the staff were really nice. Cambodian people are just really nice. They want you there, which is a big difference to the Vietnamese. 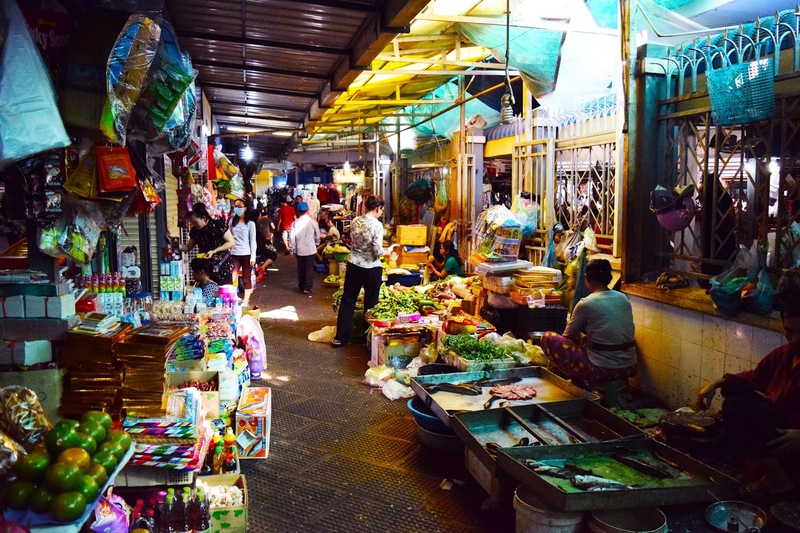 The Cambodians have realized just how valuable foreign tourism is to their country and they are doing every single thing that they can to ensure it continues. The Vietnamese also embrace the tourism but in a very aggressive way. The Japanese, on the other hand, only want foreigners to stay in their nice little foreign bubbles, in my experience. There was one point at the Royal Palace where they have all these chairs and fans set up (because people have to remove their shoes to go into the hall) and everyone is just sitting there by the fans and you can tell you’re all in this miserable heat together. This was also when I realized that even surrounded by foreigners I stand out as a foreigner. In Japan, I am usually one of only a few foreigners in an area. Maybe walking in a busy shopping area I’ll see a few others, but we’re a huge minority. At these spots I was visiting I would say that it was usually half foreign tourists and half domestic. Yet, I constantly attracted the attention of the natives. I didn’t really expect this to happen because I was constantly surrounded by people who look very similar to me, but for some reason my “foreignness” is extra special. My height? My extreme paleness? My beauty? I don’t know. But it was something that really surprised me. Because in America I have always just felt very “average” (outside of being a six foot female…). That being said, none of the tourist spots you will go to in Cambodia will have air conditioning. It’s a very hot experience. Pretty much the only time you will have any relief from the heat is when you are in your hostel or in a large, modern shopping complex. The markets are outdoors, the museums are outdoors, the temples are outdoors. So you need water, lots of water. Now, in Vietnam water was cheap. Like the kinda cheap you don’t really even think about. You may your pennies for the huge water bottle and you drink and drink and pay pennies for another. In Cambodia, though, you can pay almost a dollar for 1.5 liters. Now, that doesn’t sound like much compared to bottle water in the States or even Japan, but when your ONLY option for water is to buy it, and you’re drinking maybe 6 liters a day of the stuff, it adds up. That was probably the biggest downfall, how expensive the water was. 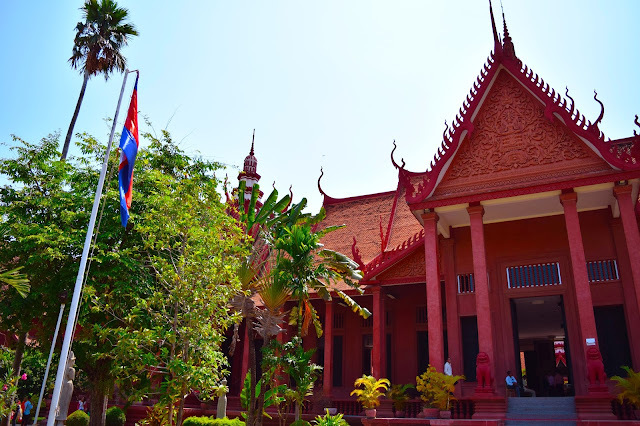 In Phnom Penh we had the chance to take a day trip out to, what I would consider, one of the most moving experiences I have ever had traveling. I’ve heard references to the Khmer Rouge growing up, it’s a name I am familiar with but I never really knew why it was familiar. In Cambodia I learned a lot of the history of the country, which is one of the very important parts of traveling to me. I want to learn about the country I am visiting, not just visit a bunch of tourist spots because I can. There is an entire country of people who have histories that are just as detailed and important as my own countries. As an American I think this is a very important thing to do, because it is very easy to just get caught up in the influence America has globally and not really realize that there is an entire world of people outside of your own country. This day trip we took was to a killing field. For some reason the name didn’t really have the impact that it should have when we first started the trip. I’ve watched countless Holocaust documentaries and I have studied the awful things other countries did during WWII. But, it’s always had this distance behind it. We got to the killing field and they have these audio guides for you to take for free. You put the headphones on and suddenly you’re in your own little world. The sun is shining and the sky is blue and this man’s voice comes on and he just starts telling you all these awful things that have happened right where you’re standing. Then you walk on when he tells you to and you realize all those holes in the ground? Those didn’t have one body in them, not even a dozen bodies, they had hundreds. Each of the dozens of holes had hundreds of bodies in them. Then there’s warnings to step carefully because bones get brought to the surface every so often. And that tree? That tree is where they bashed the heads of children. It’s a dark and it’s a devastating and it’s an awful, awful place. But it’s important. It’s important to see what can and has happened, just what we are capable of if we’re not careful. It’s so weird, knowing that people were trapped where I was walking, and I can just look over a fence and there is this huge open area of green with cows grazing. It seems so beautiful and peaceful until you realize that where you are standing someone died. A lot of someones, really. I think it is important to note that the things that I enjoyed the most out of the trip were usually the things that I didn’t plan to do. The food tour in Hanoi was a last minute addition as was the trip to the killing field. I do a lot of planning for traveling, but I always make sure to leave plenty of time to do things that I didn’t realize were an option, or that maybe sounded horrible on paper (“Why would I want to visit a killing field on my vacation?? ?”) but after hearing everyone I talk to say how much I have to do it, I add it in. I think that balance of planning and free time is crucial for a great trip. Siem Reap was the next city, and most of that time was spent at Angkor Wat, which I will write in my next Vietnam and Cambodia post. Siem Reap was a fun city, and I think it is a complete tourist town. The only thing that city really has going for it is Angkor Wat and it shows. Pub Street had more cuisines from around the world than I have seen in a long time, and there are foreigners everywhere. You’ll be hard pressed to find someone who doesn’t speak some English and it just feels really comfortable. We stayed at a hostel near the night market and Pub Street and I think that is the perfect place to stay. Angkor Wat is a ways out of the city proper, so you’re going to have to travel to get there regardless. Might as well stay where all the fun stuff happens! When we weren’t at Angkor Wat we were walking around, and we managed to get a massage which was well worth the break. But there really isn’t much to do in the city itself, so I don’t suggest allotting too much time outside of Angkor Wat. We did make a trip over to Tonle Sap, though. While the trip itself was slightly weird due to the two of us being the only two people on the entire river boat with a crew of nearly ten and a sick sea boat driver, the actual lake lake itself ("sap" means "lake") was fascinating. It is covered in a floating village. 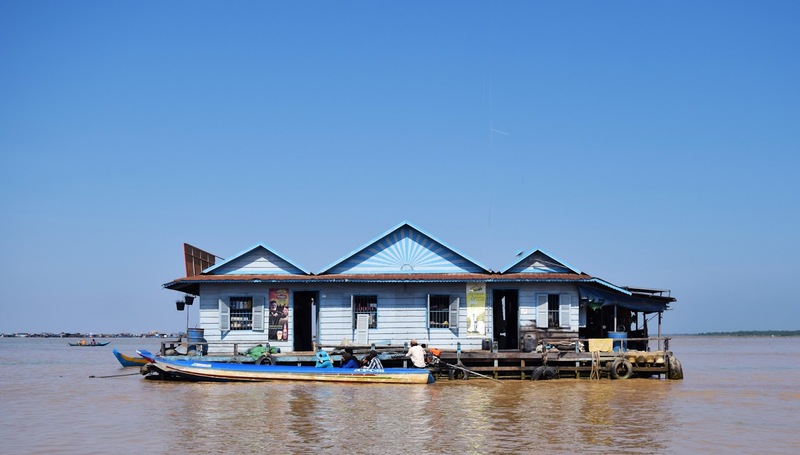 People just live there, floating and fishing in the middle of SE Asia's biggest lake. In the rainy reason I believe you can even travel between Siem Reap and Phnom Penh via this lake. Cambodia, while hot, was a great experience. It's a very simple country and the people are very nice and welcoming. Maybe one day I will make it back to Cambodia, I could see myself returning there, that's for sure. Maybe not in the hottest month of the year, though! All photos were taken by me. Please don't use without permission, I hold all copyrights!